"Jeopardy!" 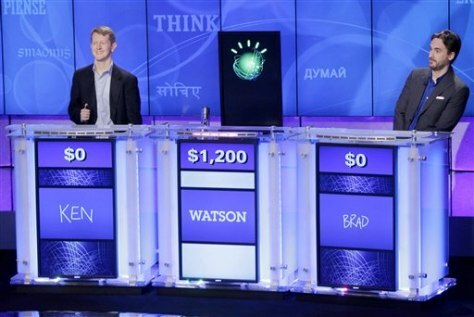 champions Ken Jennings, left, and Brad Rutter, right, flank a prop representing Watson during a practice round of the "Jeopardy!" quiz show in Yorktown Heights, N.Y.